Austin, Texas’ small business and entrepreneurial history is long and full. There were special support meetings called “Satellite Network Meetings” all over town and even in Round Rock long before there were Meetups and Bootstrap groups. Masthead banner from The Networker 1981, originally sponsored by the Commission on the Status of Women, City of Austin. 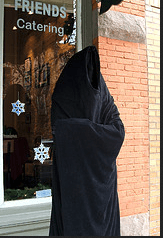 Secret Cabal of Bloggers Group, started to help bloggers help fellow bloggers. Graphic by Julie Gomoll, Jules Says. I think I am pretty organized. I think I am disciplined. But, boy oh boy sometimes I need a little help from my friends. Especially when it comes to blogs. I don’t know about you but I sometimes get writer’s block when it comes to blogs. Or I get started and then get pulled away to do other critical things. So I have several half done that I really want to finish. My friend Julie Gomoll and I decided to do something about that for others like me. We are co- hosting our first blogging party get together to “get one done and posted” this coming Tuesday, Dec. 21, 2-4pm at our BSC (Business Success Center) offices Chase Bank Blg 7600 Burnet Rd. 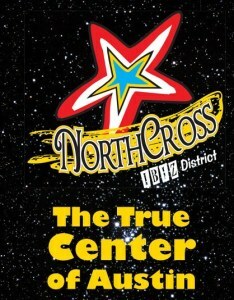 We are located across from St. Louis Catholic Church/cross street is Northcross Blvd – go in the tower, not the bank. The goal: to inspire each other and other fellow bloggers. The clublet is called The Secret Cabal of Bloggers. Click for more info and register at EventBrite. Bring your laptop and we’ll provide munchies. Walk away with your next post and new friends. We hope to make blogging fun again.